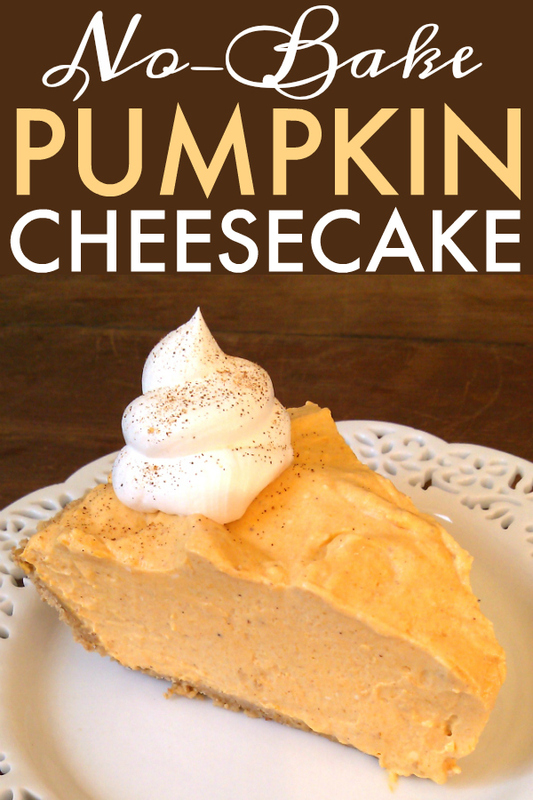 An easy pumpkin cheesecake recipe made with cream cheese, pumpkin and pumpkin spice that's a cool and creamy alternative to traditional pumpkin pie! My oven gets a lot of action on Thanksgiving. Even days before The Big Day it’s making cornbread for the dressing, baking pie crusts, cooking rolls, etc. 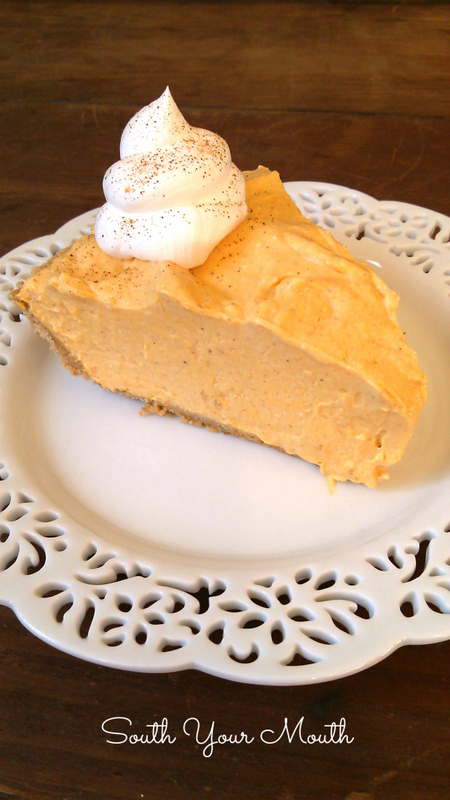 So having a super easy no-bake pumpkin cheesecake recipe to whip up is just what I’m after. And it solves another little issue I have. I… errrr… well, I don’t really love pumpkin pie. 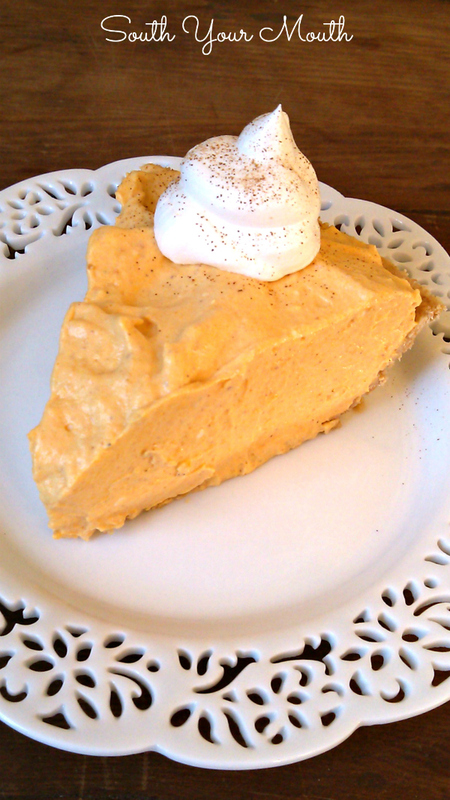 But you HAVE to have pumpkin pie on Thanksgiving, right? So, I like to make this one instead because I actually like it (a lot!) and I don’t have to take up valuable real estate in my oven to make it! 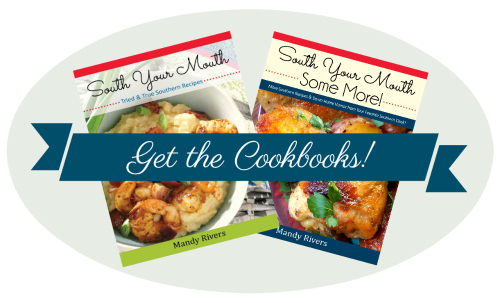 If you're hunting for some ideas for Thanksgiving, be sure to check out my Favorite Southern Thanksgiving Recipes! I think I might try these Frosted Pumpkin Brownies next! If you love easy no-bake desserts like this, check out a few of these recipes too! Pig Pickin' Pie - The best part about a Pig Pickin' Cake (the whipped pineapple frosting) served in a no-bake dessert. Whip cream cheese with an electric mixer until fluffy and smooth. Add about half of the pumpkin and continue mixing at medium speed until smooth. This could take a while, especially if the pumpkin and cream cheese are too cool. Just keep mixing until it’s smooth. Add remaining pumpkin, sugar, vanilla, pumpkin pie spice and salt and mix well. Fold in about 2/3 of cool whip until evenly combined then spoon mixture into the pie crust. Cover and chill for 4 hours or until set. Serve with remaining cool whip. Garnish with a sprinkle of pumpkin pie spice if desired. Please let us know how it turns out, I would like to try it. hi I usually don't measure can someone please tell me exactly how much cool whip to use in the pie ??? thanks !!! Sadly I am in the UK, and they are not civilized enough to have the beauty that is cool whip here. Could I make whipped cream and use that? You can as long as you eat it the same day you make it! Cool Whip just lasts a little longer. I'd say you'd need about 4 cups total (whipped). I'm going to make this for the family T-Day and I will be using real whipped cream instead of Cool Whip. The trick is to keep it in the fridge and not put it on top until you are ready to serve individual slices. Cool Whip is evil! Making this for the second year in a row!!! Delicious! So great!!! Easy and delish!! !